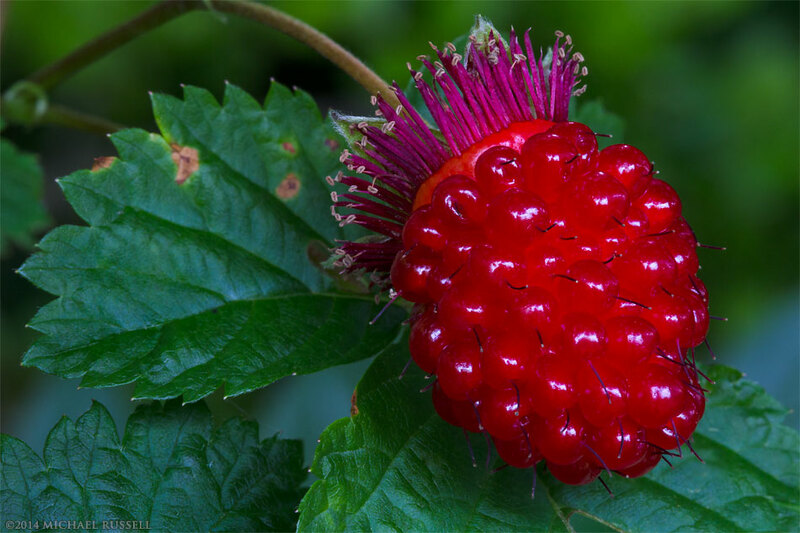 Closeup of a Salmonberry (Rubus spectabilis) fruit in the Fraser Valley of British Columbia, Canada. Salmonberry flowers are a favourite flower of hummingbirds – and the fruit is food for birds, mammals and the occasional hiker. You can find more close up photos like this in my Macro Gallery.